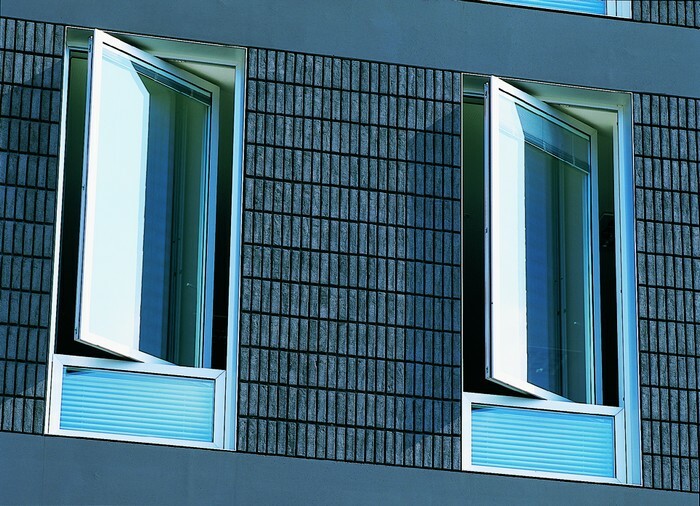 Aluminium pivot windows are suitable for all types of property but are particularly suited to high rise applications such as offices, apartments and townhouses. These windows are centrally pivoted either horizontally or vertically, rotating through 180 degrees and have built-in restrictors to limit the opening depth for easy and safe maintence of the window from the inside of the building. These slim sight line windows are a popular choice with architects and specifiers as they combine practicality with pleasing aesthetics, and allow high levels of light to reach far into the building. 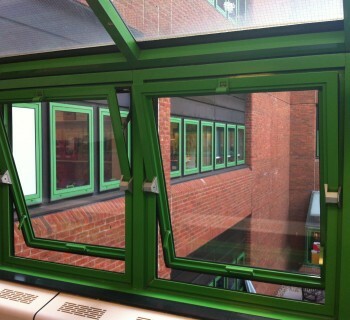 All aluminium pivot windows are thermally broken* for thermal efficiency. They are supplied and fitted white as standard but can be powder coated to any RAL colour of your choice. High energy efficiency sealed glass units are available in a large number of styles and can be tailored to your needs.